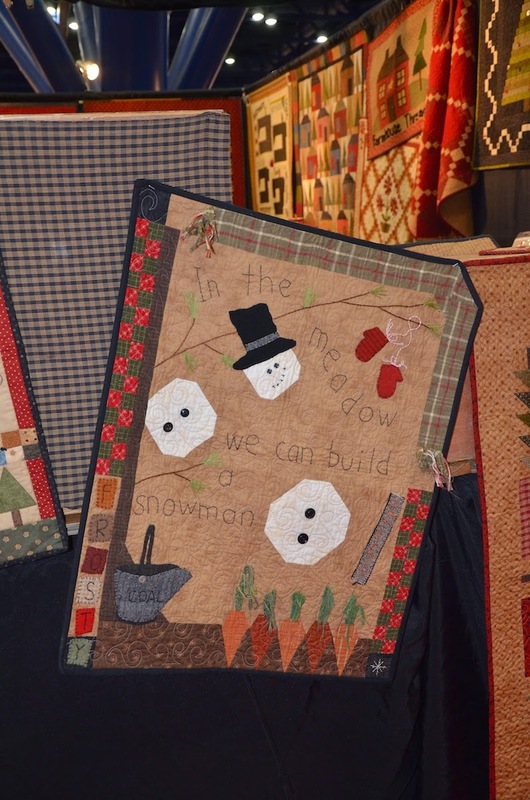 Quilting Adventures: The primitive Reproductive side of Fall Market 2014 ...! Love seeing the photos of market and my favorite is the Windham display and that tumbler. 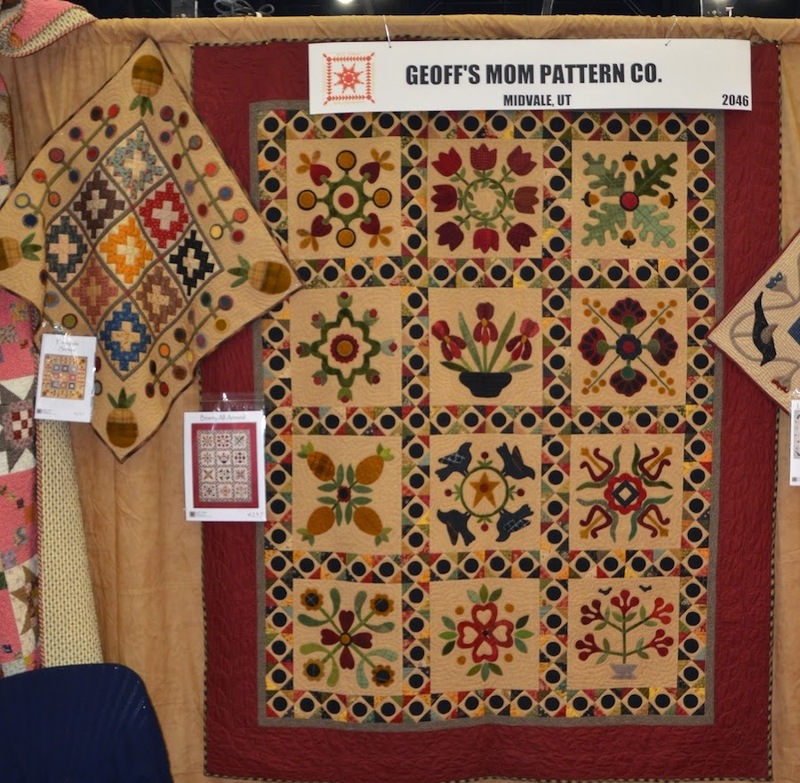 The two Geoff's Mom quilts you show are both ones that interest me. 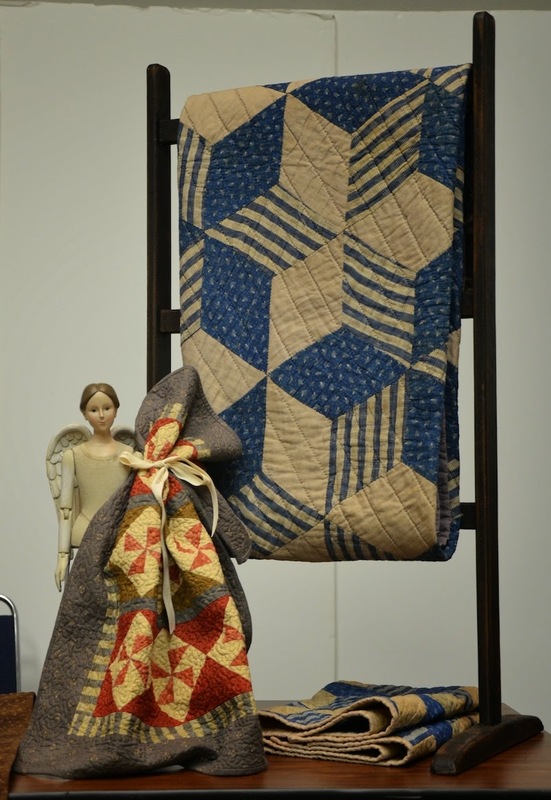 The tumbling block quilt with the stripe fabric definitely looks old. A simple pattern but very effective in those fabrics.